AS THE last Greenpeace activist detained in the Arctic 30 protest received notification today that he was cleared of all charges under a recently passed amnesty, several other international activists who had already been granted amnesty have received permission to leave Russia. The news marks the end of a saga that has seen activists of 19 different nationalities spend several weeks in Russian detention despite an international outcry over the case and Western demands to release the suspects. Twenty-eight Greenpeace activists, as well as a Russian photographer and a British videographer, were charged with "piracy" - which was later changed to "hooliganism" - for staging a protest against oil drilling at Gazprom's Prirazlomnaya oil platform in the Barents Sea in September. As of today, seven members of the group had been granted visas from the Federal Migration Service, while others expected to receive their visas by the end of the week. Activists from countries that share a visa-free regime with Russia - Ukraine, Brazil, Turkey and Argentina - were allowed to leave the country immediately. Merry Christmas and blessings for 2014! A GROUP of Balinese show off some Christmas cheer outside their store in the urban neighbourhood of Tuban, near Ngurah Rai international airport - named after an independence revolutionary hero. Images are in David Robie's Bali 2013 gallery. Merry Christmas to all our loyal Café Pacific readers ... and have a good year in 2014. THE "Caveman" rugby star Sebastien Chabal has been a real knockout this week. He hit the headlines in France over for this KO blow on number eight Marc Giraud during the second division ProD2 match between Lyons and Agen at the weekend. Giraud was carried off on a stretcher. Now aged 35, the former French icon is still playing rugby, plying his sporting prowess with Lyons in France. He built a reputation for not only looking like one of the scariest men in the sport, but playing like it too, famously breaking All Black Ali Williams' jaw and knocking out Chris Masoe. Not too long ago he announced that this would be his final season of rugby due to his body starting to feel the aches and pains that come with playing professionally for so long. He clearly hasn't lost any of the competitive spirit though, as was seen, and felt by Agen eighthman Giraud. Why are the world's media so eager to report lies about violence committed by people from Timor-Leste, but so reluctant -- in the past and still today -- to report truthfully on those who commit violence against them? This was from a recent article posted by the NGO on its blog over allegations of fabrication by a news agency stringer and condemning media reluctance to correct the facts. ANALYSIS: ON Thursday, 5 December, about 20 students and activists peacefully protested across the street from the Australian Embassy in Dili to urge Australia to respect Timor-Leste's sovereignty and rights to its undersea oil and gas. In their statement (original Tetum), they urged Australia to "stop stealing and occupying the Timor Sea, but show your good will as a large nation which follows democratic principles to accept a maritime boundary based on international legal principles." Torture of the captured Fiji fugitive being filmed on mobile phones. A MULTIMEDIA news report series about the torture of a fugitive prisoner and his suspected accomplice by Fiji prison officers has won a Pacific Media Watch editor a coveted international prize in trauma journalism. Daniel Drageset, a Norwegian journalist interned at the Auckland University of Technology’s Pacific Media Centre and a postgraduate student in the School of Communication Studies, won the Dart Asia-Pacific Centre for Journalism and Trauma Prize for reporting on violence, disaster or trauma in society at the 2013 Ossie Awards for student journalism in Mooloolaba, Queensland, this week. Drageset has been contributing editor of the PMC’s Pacific Media Watch freedom project for the past year, and has also been a student intern editor on the associated independent Pacific Scoop news website. Judge Cait McMahon, director of Melbourne's Dart Asia-Pacific Centre, said Drageset’s winning Fiji entry had showed an “impressive investigation into alleged police torture”. “Daniel had to straddle important ethical issues and clarify potential bias of sources to produce an impressive piece of reporting,” she said. In July this year, on the occasion of hs birthday, journalist ABOEPRIJADI SANTOSO wrote this tribute to Mandela’s role in Timor-Leste independence. WHEN he turned 95 years old, the late South African president Nelson Rolihlahla Mandela may have reflected on his struggle and his contribution with great satisfaction more than anyone else could. Popularly known as Madiba, he became an icon of freedom, reconciliation and hope the world over. Much less known is his legacy to help liberate the people of Timor-Leste. In 1955 Mandela lauded the historic Asia-Africa Conference held in Bandung. Two leading members of the African National Congress (ANC) - including his close ally Walter Sisulu - were there to represent their country. Indonesia continued its support for the movement and provided the platform for the Asian struggle against apartheid, which Mandela respected. Mandela, fond of batik shirts, loves Indonesia and visited four times: 1990, 1994, 1997 and 2002. The first time he came he visited the site of Bandung conference and said he was inspired by the Asia-Africa Conference and Sukarno's role. Timorese protest in Dili over Australian 'greed' over the Timor Sea boundary issue. FOR MANY years, Australia has been stealing the oil and gas from the Timor Sea, in an area which belongs to Timor-Leste under international legal principles. Sadly, Australia has shown its manner and its greed to make our small and poor country in this region lose our resources and sovereignty. 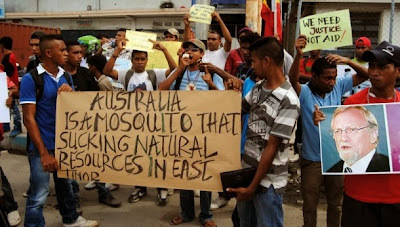 After it became aware of the oil and gas reserves in the Timor Sea, Australia supported Indonesia for more than two decades as it committed genocide against the people of this land, stealing and using its strong economic and political power to trample us, making themselves rich by leaving us in poverty. A few days ago, the Australian government used its intelligence service to seize documents from Timor-Leste's lawyer in the CMATS (Certain Maritime Arrangements in the Timor Sea) arbitration case, and to put pressure on a "whistleblower" so that he could not testify. TIMOR-LESTE newspaper editor and investigative journalist Jose Belo is no stranger to controversy, legal threats or the inside of a prison cell. He was imprisoned and tortured by the Indonesian occupation forces for a period during the 24 years of illegal occupation of Timor-Leste while smuggling out reports to the world from the beleagured resistance movement. Five years ago he was threatened with a seven-year prison sentence for criminal defamation over allegations of corruption against the then justice minister. This prompted a high-profile international appeal by journalists, academics and media freedom campaigners to then President Jose Ramos-Horta to have the case dropped. Threats are common over Belo's campaigns to root out corruption and nepotism in his fledgling Asia-Pacific state - the world's newest nation barely a decade old. AUSTRALIA should stop "short-changing" Timor-Leste with "shoddy deals" over oil and gas and establish permanent maritime boundaries with its island nation neighbour, says a Timor Sea justice advocate. Tom Clarke, spokesperson for the Timor Sea Justice Campaign, says it is high time the Australian government stopped "jostling" Timor-Leste over the temporary boundary. In a strongly worded statement, Clarke kept up his criticism of the Australian government's strategy of manoeuvring Timor-Leste into temporary resource-sharing agreements over oil and gas extraction in the Timor Sea, arguing such contracts were not a long-term solution. "Only permanent maritime boundaries - established in accordance with current international law - can put this matter to rest," he said. "Prime Minister [Tony] Abbott has a chance to cement Australia's strong relationship with Timor-Leste by agreeing to permanent boundaries that would ensure Timor-Leste is not being short-changed through shoddy deals regarding oil and gas resources." ON 28 November 1975, Timor-Leste made its fateful unilateral declaration of independence. A week later, a paranoid Indonesian military, fearful of an upstart "leftwing" neighbouring government, staged its brutal invasion and 24 years of repression and massacres followed. On 17 September 1983, the infamous massacre of at least 300 civilians (probably a far higher number) took place at the village of Kraras and Wetuka River near Viqueque. This heralded the end of the so-called ceasefire between Indonesian and Falintil forces and led to the long guerrilla struggle against Jakarta's harsh rule. This week, the people of Kraras - the "village of widows" - proudly hosted the 38th anniversary of Timor-Leste independence; the real date, not the "rewritten" post-UN date. They also honoured the 30th anniversary of the Kraras massacre. The massacre has been graphically portrayed in Timor-Leste's first feature film, Beatriz's War, and it was fitting that this movie should be screened to thousands of Timorese in an open-air arena at the independence festival this week. TIMOR-LESTE'S national print adviser has one piece of advice for critics of the controversial planned media law - read the draft document first before jumping to conclusions. Otelio Ote, who until his state media office appointment in mid-July was editorial director of the Timor Post daily newspaper and is still a part-time editor there, is optimistic about the proposed legislation. "The law isn't about control of the media, it's about shoring up the status of the media and making journalism more professional in this country," he says. Ote revealed that the government plans to set up a national news agency in Timor-Leste next year, the first time the country has had one since Australian freelance journalist Roger East was commissioned to do the job immediately before the Indonesian invasion in December 1975. East was murdered by invading soldiers after investigating the deaths of the so-called Balibo Five in a human rights atrocity - five Australians, Britons and a New Zealander who were reporting for two televison channels from the border town on pre-invasion Indonesian incursions. WHILE the Timor-Leste media industry was rejuvenated by a national congress last month that voted on a new code of ethics, one of the country's most independent chief editors has warned against the risks of a "media council elephant". 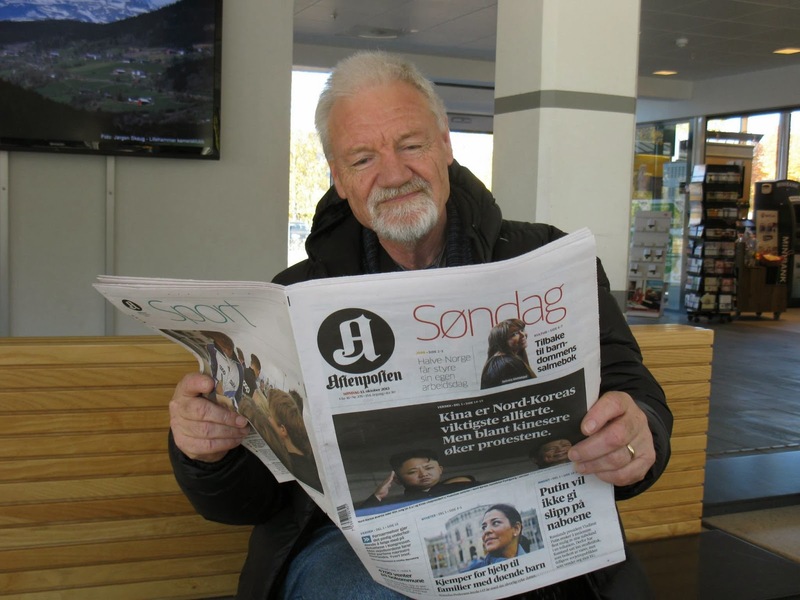 Mouzinho Lopes de Araujo, editorial director of Timor-Leste's newest paper, the Independente, is proud of the progress of the country's fledgling media but says there are still many problems to address. "There are many impediments to a free press in Timor-Leste," he says. "We don't really have a free press in this country. The press is all about what the government is doing and celebrations." 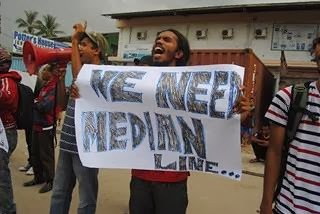 A draft media law is currently before the national Parliament and it is widely feared that a journalist licensing system and criminal penalties could be imposed as in Fiji and mooted in Papua New Guinea. "The government is only interested in getting its own agenda across in the media, not what the people want," Lopes says. 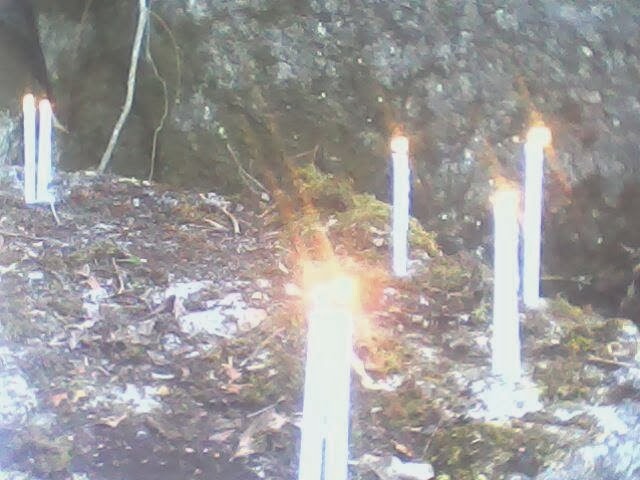 Student candles for the victims of the Matebian massacre in Timor-Leste. University students from Timor-Leste's eastern Baucau district gathered this week to commemorate the 1979 Matebian cave massacre in a month of events focused on protest against the impunity over atrocities during the illegal Indonesian occupation. At the place at Foho Matebian on the slopes of the mountain of that name where the students lit candles, Indonesian forces used bombs to seal off the inhabitants of an entire village inside a cave with a rockfall. Even if people had survived the rocks, they would have died of starvation trapped in the cave. Until now, their remains are buried behind the rocks. It is in this area during 1978/9 when the majority of the Timor-Leste population abandoned the struggle against Indonesian forces and instead took up a guerrilla struggle. The Fretilin leadership was disorganised but took up armed struggle in the hills until Indonesia reluctantly agreed to a referendum on independence in 1999. East Timor's Hera Power Plant - mega-project or 'mega problem'? THE TIMOR-LESTE capital Dili's main heavy oil power plant at Hera, about 15 km on the eastern side of the city, still remains at the centre of controversy. A fact-based page by the advocacy group La'o Hamutuk (Timor-Leste Institute for Development Monitoring and Analysis) cites many critical performance reports and is headed: "Mega-project or mega problem?" "The overall performance of the Contractor CNI22 [Chinese Nuclear Industry Construction Company No. 22 [responsible for the high-voltage national transmission grid], remains poor in particular for the quality of finishing works. Despite of continuous warnings done by the Consultant [E/B], the situation does not improve." A separate report also said three (out of seven) generating sets from the Hera plant were operating, using diesel fuel unloaded at Tibar port to the west of Dili. THE ASIAN Development Bank has signed a US$50 million loan with the Timor-Leste government in the latest segment of the Asia-Pacific nation's road upgrade programme. Timor-Leste currently has plans for about 600 km of road reconstruction - almost half of the national grid - at a cost of around US$1 a kilometre. It is planned to have a national network of "reliable, safe" roads that are also "climate change proof", ADB officials told local media. The latest loan agreement signed by ADB's deputy director-general of the Pacific department, Noriko Ogawa, and Finance Minister Emilia Pires covers a 117km stretch across the rugged interior between Manatuto and Natarbora. Many roads in Timor-Leste, especially in remote areas and also between the capital Dili and some main towns, are currently risky and prone to erosion and flooding. 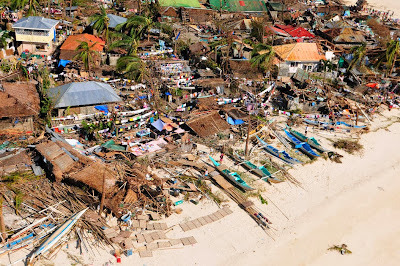 The devastation in the wake of Typhoon Haiyan on Iloilo in the Philippines. 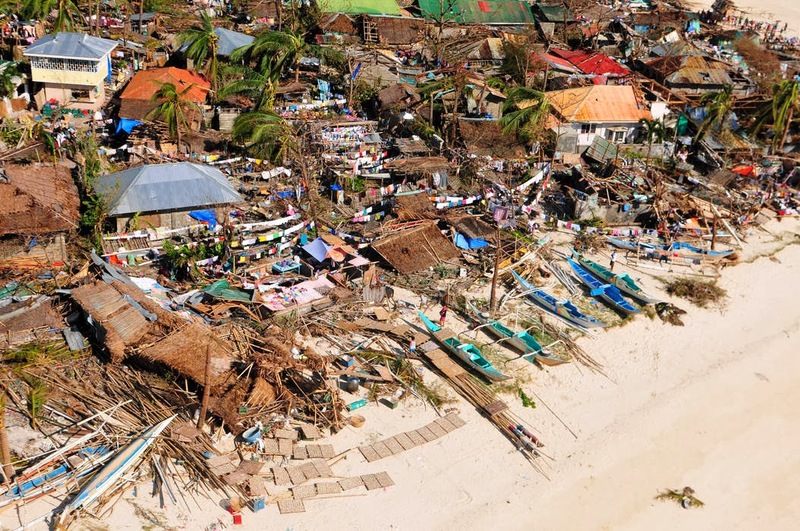 I NEED to tell you: Typhoon Haiyan was worse than any of us could ever have imagined. The Philippines receives 20+ typhoons every year - floods, landslides and partly-blown off roofs are par for the course. Believe me when I say we have never before seen the likes of Yolanda /Haiyan. I need to tell you: Everyday, I read the news and reports from the field, thinking we've reached the bottom of suffering and despair, only to find new depths. Just when I think my heart can't break any further from the stories of loss and tragedy, something new turns up to break it all over again. I need to tell you about the bodies decomposing on tree branches, under piles of rubble from collapsed houses, in churches, on the sides of roads, wrapped in blankets or straw mats. I need to tell you that the news cameras cannot show their faces - features frozen in fear as they died. I need to tell you about the storm surge - the 6-metre wall of water that rose out of the sea, rushed several kilometres inland and crashed over every building and house by the coastline. You need to understand that our nation is made up of 7107 islands; nearly everything is by the coastline. THE INDEPENDENT Timor-Leste development advocacy group La'o Hamutuk has called for an urgent review of national budget planning priorities for next year or the country will face a "bleak" future. The Asia-Pacific nation's oil and gas revenues are predicted to dry up by 2020 - six years earlier than has been previously thought. "We have only six years to develop our non-oil economy and markedly increase domestic revenues, which is an urgent national challenge," La’o Hamutuk said in an open letter to the national Parliament. As well as greater emphasis on "human infrastructure" development, the advocacy group also called for more transparency around the budget debate and better consultation with civil society. Earlier this year the 2013 budget process dropped the traditional plenary debate in favour of a closed door ad-hoc committee review. A COALITION of 21 peace, social justice and human rights advocacy NGOs has warned the international community not to 'abandon their responsibility" to prosecute serious crimes by the Indonesian military during the 24-year illegal occupation of Timor-Leste. East Timor declared independence in 1975 but Indonesia invaded in December that year and brutally occupied the country for the next quarter of a century. In a statement issued to mark the 22nd anniversary of the Santa Cruz cemetery massacre of at least 270 mourners by Indonesian soldiers in the capital of Dili on 12 November 1991, the Timor-Leste International Tribunal Alliance (ANTI) declared that "truth and justice" were the foundations for a developing democracy in the Asia-Pacific state. Condemning the "depravity" of the illegal occupation of Timor-Leste by Indonesian forces, ANTI said the "impacts of impunity continue to haunt the Indonesian and Timorese people". Benjamin "Ben" Bohane's strides are long, perfectly fitting his 6-foot-3 thin Australian frame. 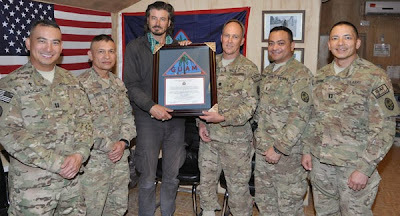 So when he walks with genetically short-statured Pacific Islanders -- as he did as an embedded photojournalist with the Guam Army National Guard's 1st Battalion, 294th Infantry Regiment throughout October -- he immediately established conflict with his military escorts. "Hey, slow down," a 5-foot-7 Guam soldier shouts as they prepare to board a plane to Kandahar Airfield in Afghanistan’s Kandahar province. "Take smaller steps. The plane's not going anywhere without us." Bohane turns around and notices his 10-foot lead. "Sorry mate," he proclaims in his Australian tone. "Size 12 shoes. I was born with big feet." the Lithuanian National Press Agency exhibition at the Helsinki Town Hall, Finland. 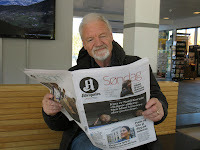 CAFÉ PACIFIC’S publisher David Robie has been travelling widely on sabbatical across Scandinavia and France in the past few weeks, meeting media freedom campaigners (such as at Reporters Sans Frontières), giving guest lectures at journalism schools such as at Stockholm University and the Danish School of Media and Journalism, and on various research projects. Some of his images can be seen on his Facebook page and watch for other reports at the Pacific Media Centre. The seized Arctic Sunrise under Russian Navy guard in Murmansk Harbour. FOLLOWING a hearing at the International Tribunal for the Law of the Sea (ITLOS), where the Netherlands brought a case seeking the release of the Greenpeace ship Arctic Sunrise and its crew, Greenpeace International general counsel Jasper Teulings has praised the Dutch government for its "strong stance for rule of law" over the widely condemned seizure of the environmental campaign ship. "The Dutch government argued its case extremely strongly," Teulings said. "The Netherlands is taking a strong stance in support of the rule of law and the right to peacefully protest. 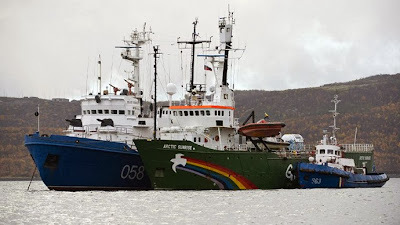 Greenpeace International applauds the Dutch decision as flag state of the Arctic Sunrise in taking the necessary legal steps to gain the release of the ship and the Arctic 30. 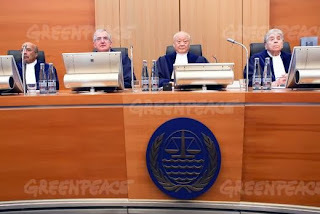 "Greenpeace International is confident that the Tribunal will take appropriate account of the fundamental rights of the Arctic 30, and the impact of their detention on those rights, in reaching its eventual decision." The Russian Federation did not attend today's hearing in Hamburg, Germany, and the sitting was closed following the presentation of the Dutch government's oral argument. Australian photographer/writer Ben Bohane’s new monograph Black Islands: Spirit and War in Melanesia is the manifestation of his vision to document the culture, wars and islands beyond the borders of Australia. 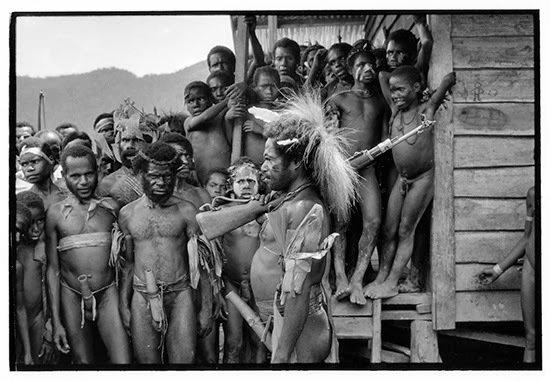 The book is the culmination of Bohane’s dedication to photograph under-reported Pacific issues and history. By Tamara Voninski of IPA. PROFILE: From your perspective as an Australian photographer and writer based in Vanuatu, is Australia a continent island or part of the Pacific Islands? Why? I have always been slightly troubled by this notion that Australia is a continent, as if we are removed from our immediate geography. The reality is, if we choose to see it the way earlier generations of Australians did – that Australia is just a big Pacific island, forever connected by the blood and song lines of our indigenous people and our long relationship with our immediate Melanesian neighbours. Modern multicultural Australia has forgotten the importance of the Pacific islands and our shared identity and destiny with it. Just look at the map. Australians have become so globalised that they have forgotten their own backyard, yet for a photojournalist like myself, there are incredible stories here that need to be told to Australians, instead of our news constantly dominated by the wars of the Middle East and the “boom” of Asia. Callum Macrae, filmmaker and journalist, has been at the forefront of a campaign to bring the government of Rajapaksa to the International Court of Justice for crime against humanity. Malaysiakini.tv spoke to Macrae about his film. A HUMAN rights activist has been charged at the magistrate's court in Kuala Lumpur with the screening of a controversial documentary, which was not cleared by the Film Censorship Board, on the alleged atrocities by the Sri Lankan army during the country's civil war. An excerpt from the documentary was shown at AUT University in Auckland last week with the launching of the Asia-Pacific Human Rights Coalition (APHRC) in association with the Pacific Media Centre. An Amnesty International spokesperson and other activists spoke at the Auckland meeting. Lena Hendry, 28, a Komas programme coordinator, claimed trial to screening the film No Fire Zone: The Killing Fields of Sri Lanka at the Kuala Lumpur and Selangor Chinese Assembly Hall, Jalan Maharajalela, at 9pm on July 3, 2013. She was charged under the Film Censorship Act 2002 and is liable to a maximum fine of RM30,000 (about NZ$11,000) or three years jail, upon conviction. The Real News video on the controversial "US Pivot" policy. ACTIVISTS holding a key international conference in the Philippines this month opposing greater planned United States military presence in Asia, have accused the US of being responsible for rapes, killings and environmental destruction that go unpunished. Dyan Ruiz, a co-producer of a Real News programme about the conference, has warned of the impact of a new wave of US militarisation in Asia. The International Conference on the "US Pivot" to Asia-Pacific: US Militarism, Intervention and War was attended by nearly 60 delegates from 13 countries, including Australia, Japan, the Philippnes and South Korea. Renato Reyes Jr, secretary general of Bayan, a Philippine progressive political organisation and a lead organiser of the conference, said: "It's high time that the people in Asia [should] be allowed to determine their own course and to chart own direction and their own foreign policy free from any dictates of the United States. Producer Ruiz said: "Despite the support of their own respective governments, the delegates see US military intervention as a violation of their countries' sovereignty. Darlene Keju's groundbreaking 1983 address to the World Council of Churches in Vancouver, Canada. USA, Charleston, SC: Book link. Don’t Ever Whisper is Giff Johnson’s biography of his wife Darlene Keju-Johnson, a Marshallese woman who reached out to a global audience about the health effects of US nuclear tests on her people, including cancers and birth deformities. 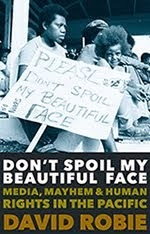 At the same time, the book documents Marshallese politics and the duplicity of US administrations that allowed the Marshall Islands and the people to be used for nuclear tests in the 1940s and 1950s, conducting studies out of sight of mainstream media. US government policy was that Bikini, Enewetak, Rongelap and Utrick were the only radiation affected atolls, but this deliberately covered up fallout dangers. 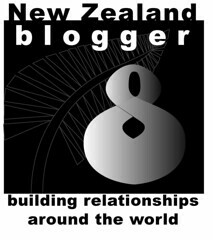 Don’t Ever Whisper is also a case study of how a fiercely committed, energetic and optimistic young woman developed a group of youth health workers, Youth to Youth in Health (YTYIH), part of the Ministry of Health’s health promotion programme, working as peer educators on inner and outer islands. POLICE have fired teargas on dozens of West Papuan peaceful demonstrators marking International Democracy Day at Waena in the capital of Jayapura. 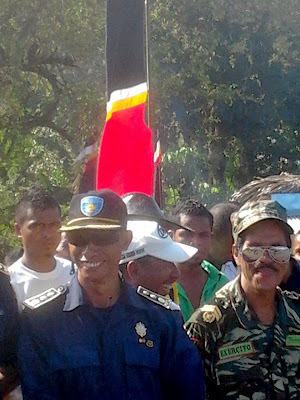 "We gave a five-minute warning for the KNPB to disband because this demo did not not permission from us," said Wakapolresta Jayapura Kiki Kurnia to Wim Rocky Medlama, a KNPB spokesperson. 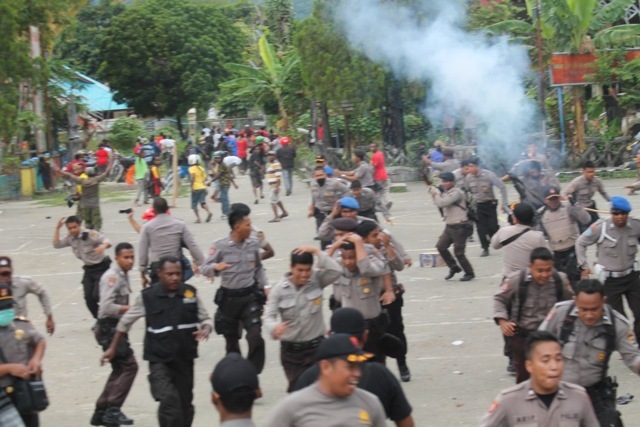 When the protesters did not retreat, Jayapura police seized the demonstration command car and this triggered chaos. The police fired tear gas over the demonstrators’ heads. WEST PAPUA Freedom Flotilla supporters have uploaded a video of their secret ceremonial "sacred mission" in Papuan coastal waters earlier today on YouTube. 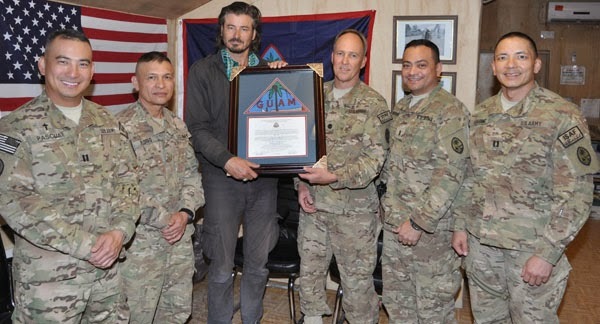 A SBS report cited activists hailing the mission as a success. Here it is. 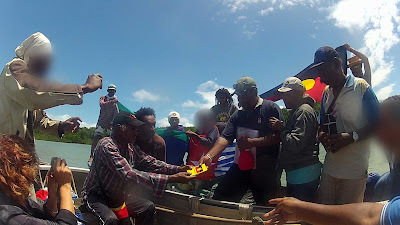 EVADING the Indonesian navy, two tiny boats met near the Australia-Indonesia border to ceremonially reconnect the indigenous peoples of Australia and West Papua. The ceremony was the pinnacle of a 5000km journey beginning in Lake Eyre, in which sacred water and ashes were carried and presented to West Papuan leaders. While the Freedom Flotilla’s flagship, The Pog, sailed towards West Papua, the world watched its progress via a live satellite tracker onboard the vessel, providing a much needed distraction for the clandestine ceremony to take place in an undisclosed location off the south coast of Papua. The cultural exchange of Indigenous elders was held in secret, due to threats made by Indonesian government ministers and military officials who had stated that the navy and air-force would “take measures” against the peaceful protest, and had not ruled out the use of lethal force. Soon to be Australian Foreign Minister Julie Bishop had also stated that Indonesia may do “whatever it wishes” to stop the peaceful protest. FRENCH news agency AFP has been caught up in a self-censorship row after attempting to retract a photo of President Francois Hollande flashing a gormless smile. The whole debacle has gone viral, forcing AFP to make a statement denying they had caved to government pressure. Rather, they cited internal editorial guidelines "not to transmit images that gratuitously ridicule people". However, politicians are not strangers to banning (or trying to ban!) images that make them look a bit silly. You'd think that Vladimir Putin, used to being in the public eye, captured in completely random and non-staged situations like this, wouldn't mind being the inspiration for some fine art. 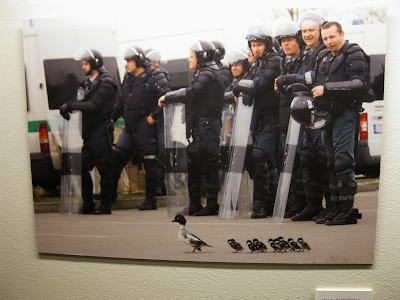 That turned out not to be the case when a St Petersburg gallery exhibited a painting of Putin and PM Dmitry Medvedev - the former sporting a fetching pink negligee, the latter a black lace push-up bra. 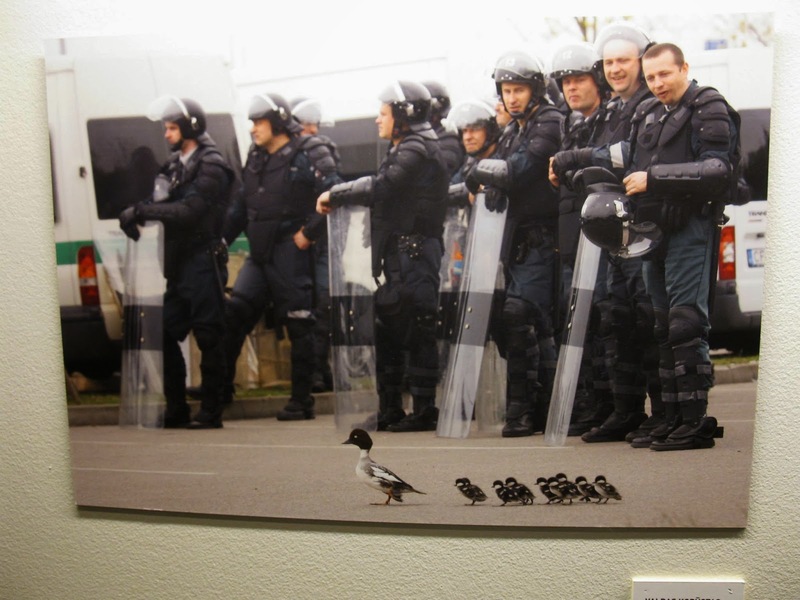 Russian police raided the gallery and removed the picture in question, as well as three others depicting Russian political leaders. The reason given was that the images 'violate existing legislation'. The legacy from US nuclear testing in the Marshall Islands has provided a media backdrop to last week's 44th Pacific Islands Forum in Majuro. Here is a short documentary made by David Robie and his Aroha Productions team and broadcast by Television New Zealand. The Rongelap Islanders of Micronesia have been described as the first victims of World War Three. Many of them remember March 1, 1954, as the day it "snowed" on their atoll, as deadly fallout dusted down from a 15 megaton thermonuclear test, codenamed Bravo, held on Bikini Atoll. Since then Rongelap people have suffered leukaemia deaths, cancers, thyroid tumours, miscarriages, deformed children and births described as "jellyfish" babies. A noted American researcher has predicted that everyone who was aged under 10 when the contamination occurred will die of cancer. This award-winning, 12-minute film tells the story of their contamination, and of their evacuation three decades later by the peace ship Rainbow Warrior to Mejato Island, 150 km away. Scripted and co-produced by Pacific affairs writer David Robie, Nuclear Exodus is a damning indictment of the nuclear machine.